A new publicity drive by the Health and Safety Executive (HSE) is warning construction companies of the dangers that dust can pose to their workers, with a campaign encouraging builders to pose for selfies. 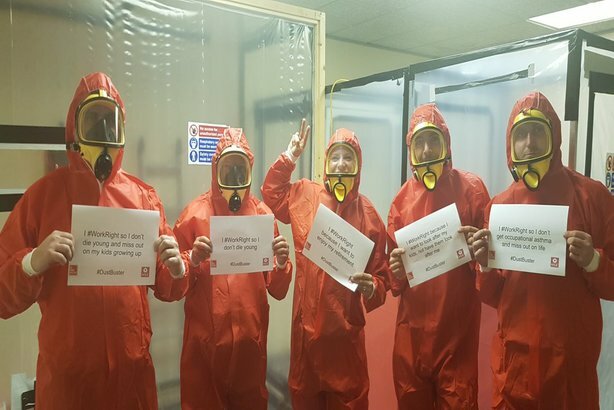 The #DustBuster campaign, which is targeting firms in the London area, is an extension of awareness-raising work done by the HSE late last year. More than 3,500 builders die each year from cancers related to their work, with thousands more cases of ill-health and working days lost, according to the HSE. The campaign aims to reduce levels of lung disease among builders because of poor management of health risks. It is highlighting the fact that HSE inspections are taking place over the coming weeks to see whether businesses have measures in place to protect their workers from substances such as asbestos, silica and wood dust. Publicising the inspections is an attempt to encourage companies to review their health and safety practices. The key messages of the campaign, which sits under HSE’s 'Go Home Healthy' banner, are for people to be aware of the risks from dust exposure, mitigate against them accordingly, and refer to the HSE's advice and guidance. 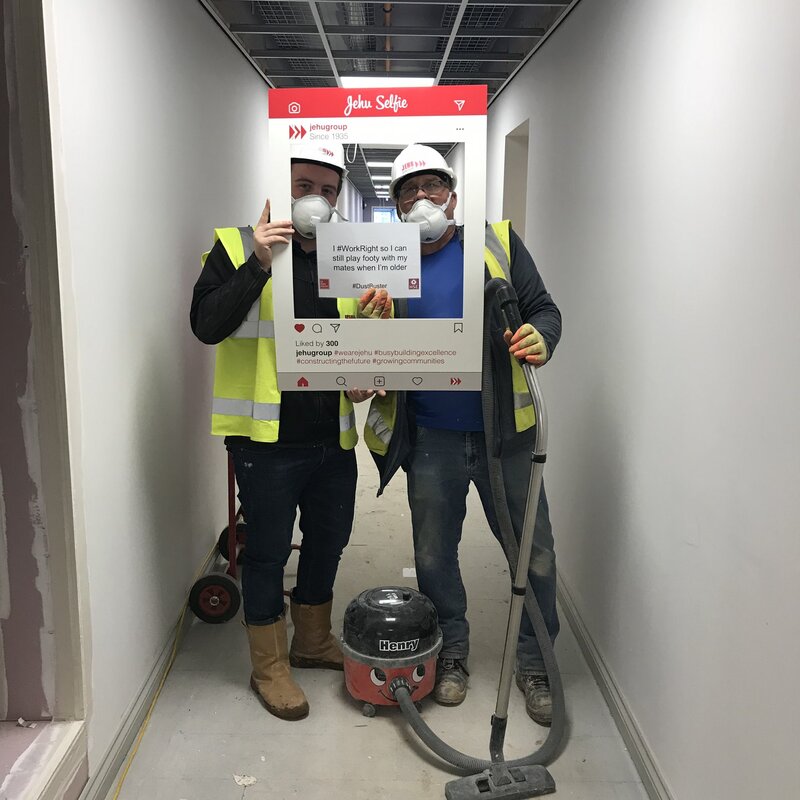 The hashtags #DustBusters and #WorkRight are being used to promote the campaign, which is being communicated via a mix of traditional and digital media, including HSE's social-media channels on Twitter, Facebook, and LinkedIn. HSE has produced a series of 'selfie cards' that builders are being asked to download and pose with for pictures, which are then posted on social media. The cards include messages such as "I #WorkRight so I don't die young" and "I #WorkRight because I want to look after my kids, not have them look after me." David Harrison, head of campaigns and marketing at HSE, said: "The #Dustbuster campaign aims to influence employer behaviour using the visit of inspectors as a motivator for builders to download free advice and guidance, which will in turn increase their knowledge and capability to protect workers' health."